Here's an uncommon message rug that would be wonderful at one's front door. 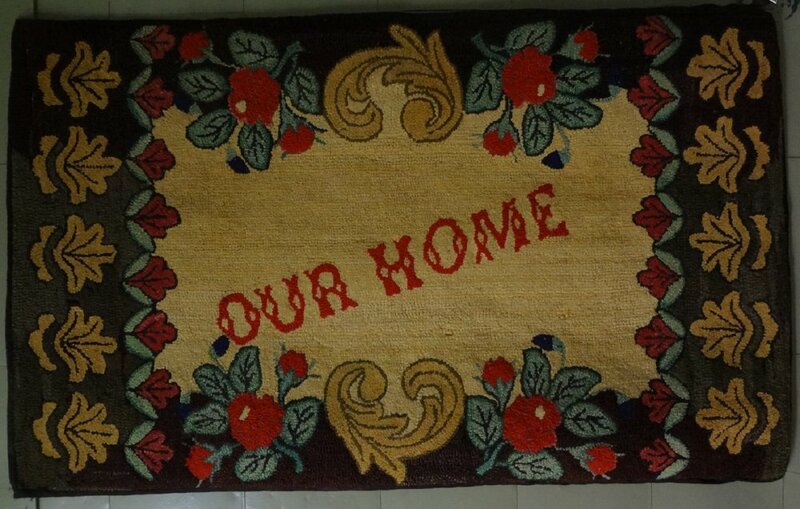 Usually rugs of this type say Home Sweet Home, or just Home, but here the OUR Home personalizes the rug to the max. Colors as fresh as when hooked in the 1940s.